Should developers know the fundamentals of design? Quite a controversial question. However, in a rapidly growing market, extra knowledge never hurts. 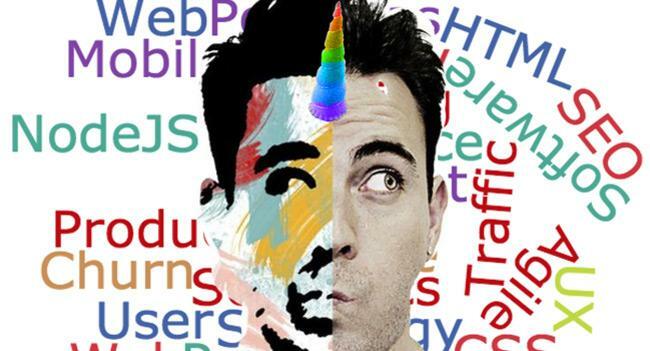 Should a software developer know the fundamentals of design? Quite a controversial question. However, in a rapidly growing market, extra knowledge never hurts. There are dozens of important tips on web design, but, on behalf of the DesignContest team, I’m going to share with you only the ones that every developer needs to know. An increased rate of productivity and competitiveness. An entirely different approach to the work and deeper understanding of the profession. The ability to communicate with other designers freely, which will help to facilitate the development of the project. Deeper understanding of the process itself. You’ll understand how to speed up work on a project and improve the code (considering the design requirements) to decrease a website's load time (make it run faster). New ideas. You will be able to evaluate other people's designs more professionally, and increase your visual inspiration. Independence. You may become self-sufficient; at least, you’ll be able to work without the need to consult with designers so often. So, let's move on to the basic web design laws and patterns. Ockham's (or, Occam's) razor was formulated in the XIV century by William Ockham, a monk and a philosopher nominalist. According to Ockham, the best solution is often the simplest one. Albert Einstein formulated the rule of Ockham's razor as follows: "Everything should be simplified as far as possible, but no more than that." Therefore, try to simplify and cut off elements, which are obviously excessive in the design. Avoid unnecessary complexity; strive for simplicity, consistency, and intuitive design. However, don’t overdo since the site may become boring and uninformative. Try to find a middle ground. One of the best examples of simple design are logos. If you check out the examples of good logo design, you’ll see that most of them are simple, consisting of minimal details, but still beautiful. This law is one of the fundamentals of cognitive psychology. According to research, the speed and the ease of the decision depend on the number of options. The time required to make a decision increases with the increase of options. For example, if you have a choice between doing one menu with eight points or two menus with four points in each one, it's better to choose the first option. 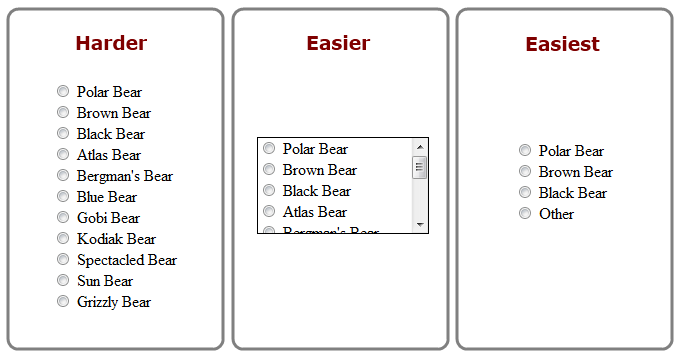 In this case, you simplify the process of decision-making for users. This approach also reduces the level of stress that we experience in a small amount every time we need to make a choice. Also, a long and difficult process of choosing can make users think that all the options are bad. This once again proves the correctness of the principle of Ockham's razor, which states that the simplest solution is often the best. When you create a website, it's best to limit the number of buttons, panels and alternatives for the comfort of perception. It’s a sequence of numbers in which each successive number is the sum of the previous two (0, 1, 1, 2, 3, 5, 8, 13, 21...). Objects with sides repeating the Fibonacci sequence are considered very harmonious to look at. This sequence is also one of the most important, both in mathematics and in design, where it can be used to create drawings and compositions. In 1954, Paul Fitts defined the relationship between the distance to the target, the target size and the time needed to achieve it. Fitts has proven that the closer and the larger the object is, the less time and effort is required for moving towards it. Regarding web design, the bigger and the more visible the object is, the easier it is to click on it. That’s why the CTA (Call-to-Action) buttons are usually large and positioned close to the presumable cursor location. Large and well-marked buttons push visitors to the unconscious action and influence their choice. Golden Section principle lies in the dividing of the interval into two, unequal line segments, wherein the ratio of the largest segment to the smallest equals the ratio of the whole length to the largest segment. The numerical value of this irrational physical constants is 1,61. How to use the golden ratio? Divide the interval into two line segments, wherein the first part will occupy 38% of the segment, and the second – 62%. The resulting segments will be the parts of your figure, constructed by the golden section. 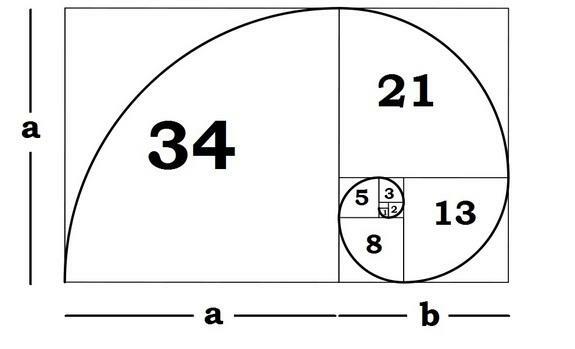 Any forms made in the golden section ratio are more pleasing to the audience. The rule of thirds is a simplified rule of the golden section. It is used in painting, design and photography. It involves dividing the plane into 3 parts along each side. The nodal points of intersection of each line will be the most important part of a composition. Such a disproportionate division involuntarily attracts the attention of a visitor. This is the best approach to the partition of sky and water, sky and earth, etc. The best team is a team where software developers can look critically at the design concept – from a user point of view – while designers can understand how their designs will be implemented. Putting all the strengths of your team together, you have a complete set of experts working together harmoniously. Brian Jens is a designer and blogger, working at DesignContest. He loves writing and doing research on new ideas and trends of design industry.